In 1978, swindler Ned Warren was convicted of 20 counts of fraud for selling land in Arizona without access to water. Two years later, the drafters of the 1980 Arizona Groundwater Management Act decided to put an end to that practice by requiring that an "assured water supply" must be demonstrated in advance of selling subdivision lots. Ironically, Ned Warren died in prison that same year. In 1980, an assured water supply meant a renewable surface water supply, such as Central Arizona Project water from the Colorado River or water from the Salt and Verde Rivers. It did not mean groundwater. That's because the Groundwater Management Act aims to halt the over-use of groundwater that plagued the state for decades. The requirement to use renewable supplies encouraged cities to make investments in surface water treatment plants and to store excess surface water underground for use in times of surface water shortages. It drove them to clean their customers’ wastewater so that it could be used instead of drinking water to irrigate turf in parks and on golf courses, and to restore riparian habitats. The result is that 34 years after passage of the Groundwater Management Act, the major cities in the Phoenix area rely on groundwater for only 7 percent of their water, and can boast of redundant, stable and secure water supplies for today and tomorrow. Take a look at California where landowners are racing to drill ever-deeper wells at the cost of $250,000 each and you see the nightmare central Arizona would be in without the Groundwater Management Act. But there were some interest groups who did not like the assured water supply restrictions on groundwater pumping. So in 1993, the Arizona legislature created an exception. The exception allows houses to be built on raw desert land and their owners to use groundwater on the assumption that the government will purchase water supplies to replenish the groundwater that is pumped. The government agency in this case is the same entity that operates the Central Arizona Project. These new desert developments are permitted to use groundwater, but pumping this resource creates problems for homeowners and others. Over-pumping groundwater causes land subsidence as the earth literally sinks. This shifting of the ground can crack foundations and damage buildings and roads. Energy and maintenance costs go up as groundwater is pumped from deeper depths. Groundwater quality may worsen, resulting in even higher costs. Add to this the fact that the Central Arizona Project is not required to replenish (put water back in the ground) in the areas where groundwater is pumped. Inevitably, the groundwater will run out. Who will rescue these homeowners if groundwater is no longer usable or available? 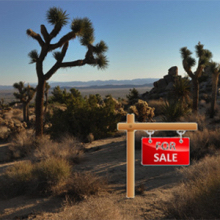 It is cheaper to develop desert land and use groundwater, so the 1993 exception to the assured water supply requirement is now the major vehicle for residential growth. The Central Arizona Project currently has the obligation to replenish for 100 years the groundwater pumped for 1,094 subdivisions, about 264,000 houses. This obligation will continue to grow because the Central Arizona Project lacks authority to say no to new subdivisions. Drought and shortages of Colorado River water will increase competition for water supplies that can be purchased for replenishment. Subdivision developers are not required to pay the full cost of the water needed for replenishment and, ultimately, homebuyers will foot the bill not only for the groundwater they actually use, but for replenishment water as well. On December 4, 2014, the Central Arizona Project approved a Plan of Operation for the next ten years to meet its expected replenishment obligations. The Plan will now be submitted to the Arizona Department of Water Resources for review and approval. The Arizona Municipal Water Users Association believes the Plan falls short of mitigating the risks posed by continued growth before renewable supplies are in hand. We need to get back to the model envisioned by the 1980 Groundwater Management Act where sustainable water supplies are developed in advance of growth. Unfortunately, it appears that changes to state law will be necessary to ensure this result.